1) One set shale shaker to remove the coarse solids particles, separation points above 100microns to 200microns. The shale shaker GNZS594E-HB is GN 4 panel shaker, which is replacement shaker as Swaco Mongoose. Similar design with composite material shaker screen can reach high treatment performance. For more info of GN Shale shaker, pls check from GN shale shaker website. 2) Two sets high speed centrifuges to remove the fine solids particles, separation points above 2-5 microns. 3) VFD control panel is also mounted on the mud tank, with the carbinet, the centrifuge bowl speed can be adjusted from 0 to 3200RPM. For some waste water treatment, higher speed is required to get better performance & we can offer 3800RPM bowl speed centrifuge. 4) One mud tank with oil field skid to support the shale shakers & centrifuges. The treated mud can drop down to the catch tank downside; the solids removed will discharge at one side and collected by screw conveyors. 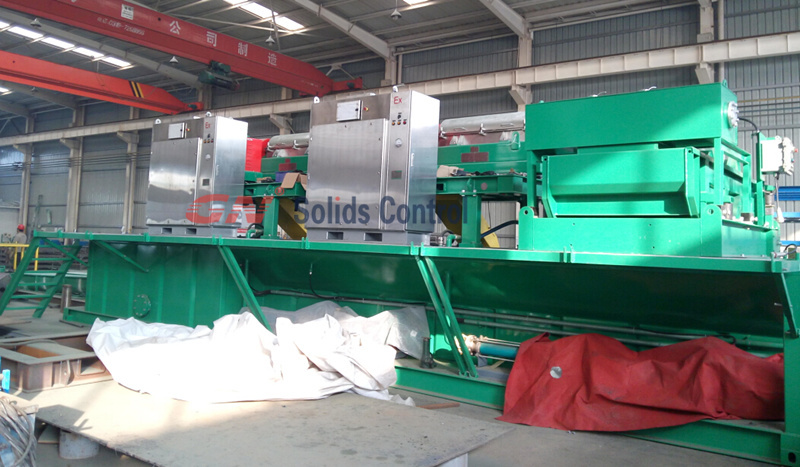 5) 2 sets screw conveyors for collection and transportation. GN Screw conveyor is jointly designed and manufactured by GN Solids Control and Italy Brand WAMGROUP. 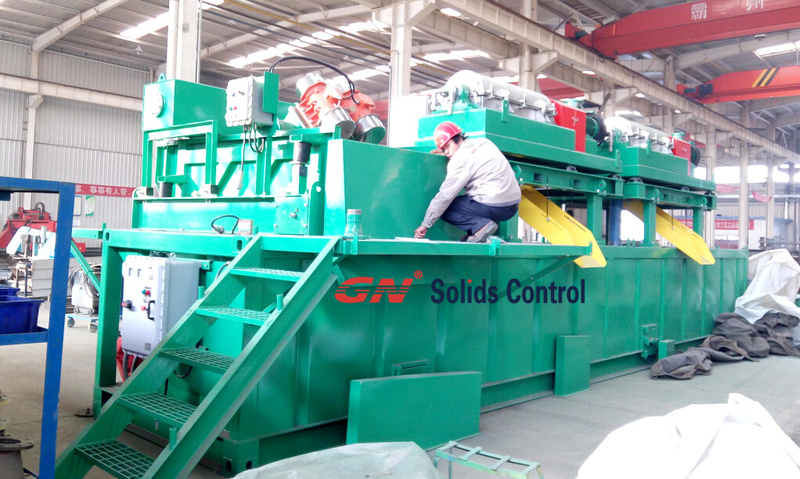 GN Solids Control can offer turnkey solution for solids control mud system, drilling waste management system & waste water treatment. Pls contact us freely.